A special general meeting of the membership will be held on Tuesday, September 11, at 7:15 p.m. at Old Town Hall, and members are invited to attend and comment on proposed changes to the constitution and bylaws. The final document will be voted on by the membership at the next Annual General Meeting in November. The City of Ottawa will host an open house on Thursday, September 27, 2012, concerning the mid-town footbridge. The open house will be held from 7-9 p.m. (presentation at 7:30 p.m. by city staff), at the Glebe Community Centre, Scotton Hall, 175 Third Avenue. More details are available here. On September 8, in conjunction with Saint Paul University, the Main Farmers’ Market will host an art show where local artisans will sell and showcase their craft. 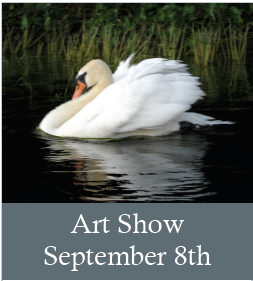 Artists are welcome to exhibit. Booths are $35.00 each (first come first serve). The exhibit area will be along Main Street, in front of Saint Paul University. With easy customer access, support from market shoppers, and good visibility from Main Street, this is sure to be a success! Residents of Old Ottawa East celebrated their community at the annual Main Event, held on June 16. Congratulations to the Community Activities Group of Old Ottawa East (CAG) for organizing another successful event. The "Political BBQ" is part of the Main Event tradition and is a fundraiser for the Old Ottawa East Community Association (OECA). The BBQ was organized by board members Nick Masciantonio and Jamie Brougham, with support from Jan D'Arcy, Barbara Hicks, and over a dozen community volunteers and board members. Thanks also to the group from Celebration! Church.